Plan your trip with our Bangkok travel guide up to -70% off To take advantage of these offers, join now for free! For many decades Bangkok has attracted visitors thanks to its rich culture, relaxed atmosphere and fabulous food. Today Thailand’s capital draws in over 20 million foreign visitors per year. In both 2016 and 2017 Bangkok was named most the world’s most popular city destination for international tourists. Bangkok is a fascinating blend of old and new. Home to many ancient temples and sleek modern buildings. Unlike most nearby countries in south east Asia, Thailand was never colonised by another nation so it has retained and developed its own unique heritage over the centuries. Perhaps it is this which has led to its openness to other cultures which have added to the rich tapestry of the country. 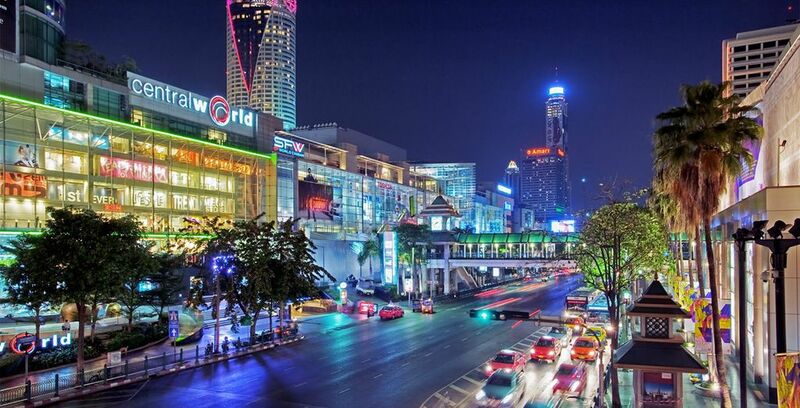 The vibrant metropolis of Bangkok has a population of around 8.2 million and is by far the largest city in Thailand. It is a cosmopolitan place, with large numbers of people settling in the city from all over the world. It is home to thousands of people from Japan and China, as well as other Asian countries. Bangkok is home to many temples, but Wat Arun is the probably the most famous and arguably the most stunning of all the temples in Bangkok. Also known as the Temple of Dawn, Arun Wat is situated on the banks of the Chao Phraya River. 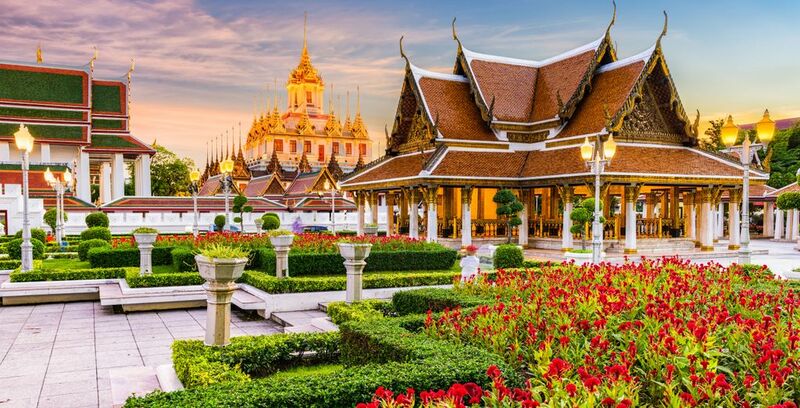 An official residence of the Thai royal family, the Grand Palace is largely used for hosting royal ceremonies and is open to visitors every day until mid-afternoon. Built in 1782, it is a wonder of intricate detail and the finest architecture. The temple itself is beautiful, but it is the statue of Buddha which draws the most attention, being carved from a single piece of emerald. The biggest China town in the world, Yaowarat has a wonderful maze of alleyways and lanes to explore. By day you can shop for clothing at Sampeng Lane or visit a temple or museum. By night the place is buzzing with food stalls and cafes. The Guan Yin Shrine houses a 900 year old statue of the Goddess of Mercy on the altar. Situated on Rattanakosin Island, the temple at Wat Pho is best known for its reclining Buddha statue. If you are travelling with children you may need to take a break from the temple visits and enjoy some thrills on the rides at the Dream World theme park. 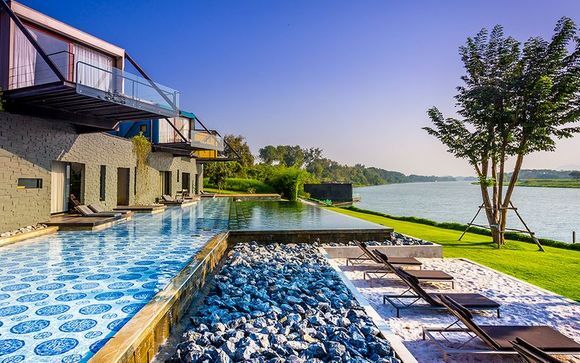 Retreat from the hustle and bustle of the city to the peace and tranquillity of Lumphini Park. Adjust to a slower pace of life for a while with a paddle or rowing boat on the lake. Kidzania provides a world of educational entertainment aimed at 5-16 year olds. Children can play at jobs such as firefighting or making a TV programme. Dusit Zoo makes another great day out for all the family. See local Thai wildlife as well as many animal species from all around the world. Discover the rich history of the area at the city’s museum. When to go to Bangkok? Thailand has a tropical monsoon climate. 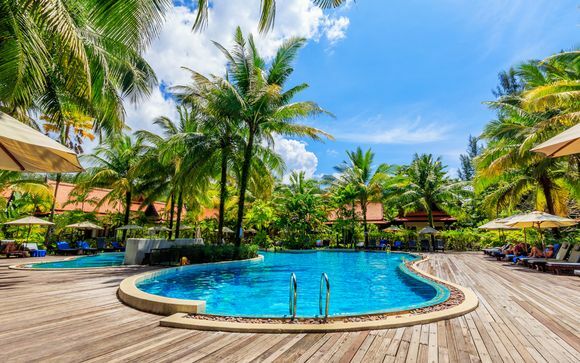 You can visit at any time of year, but if you are heading to Bangkok to enjoy dry weather, you need to avoid the rainy season which lasts from July to October. The temperature is hottest between March and June, when it reaches an average of 34°-35°. From November to February the average temperature is still 32°, but the humidity is lower and it can be a very pleasant time of year in Bangkok. One of the advantages of travelling during the cooler season is that the city and in particular its tourist attractions are less crowded. The cost of holidays to Bangkok are also lower during Thailand’s winter season. There are direct flights to Bangkok from London Heathrow airport, with the journey taking around 11 hours and 15 minutes. 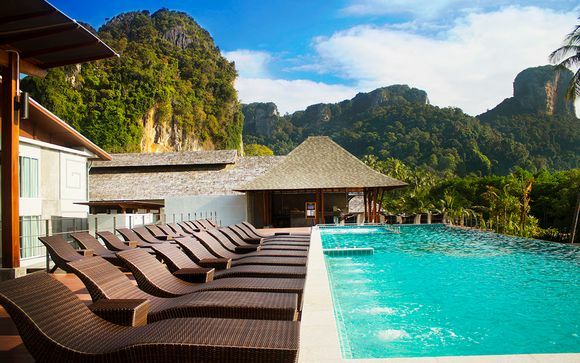 British Airways, Thai Airways and EVA are among the operators offering a direct service. You can also get connecting flights from many of the UK’s regional airports. Bangkok has two airports, so check which one you will be landing for your onward travel arrangements. The majority of UK flights arrive at Suvarnabhumi, which is the busiest airport in Thailand. However, if you travel via Vietnam or Singapore, your flight might land at Don Mueang airport instead. Taxis are readily available and are inexpensive for your journey into the centre of Bangkok. There is also an Airport Rail Link service, offering low cost travel into the city. Buses are another option for getting into central Bangkok from the airport. Travelling by bus can be slow – the journey into the centre can take around two hours, but you will get a flavour of Bangkok life. You don’t need a visa to travel to Thailand from the UK provided you are staying for no more than 30 days. You can apply to extend your visa exemption for a maximum of an additional 30 days, but no longer than that without a visa. Your UK passport needs to be valid for at least 6 months from the date when you arrive in Thailand. Damaged passports may be rejected. 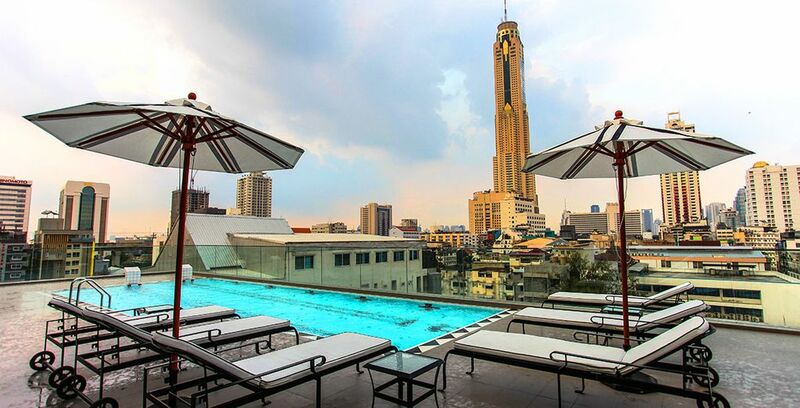 The stylish Well Hotel is located in the central district of Sukhumvit. There is a range of rooms available, including suites. Facilities at the hotel include high speed WiFi in all rooms and a private exercise bike, yoga mat and more provided in executive rooms. Check out the latest special offers at the Well Hotel. 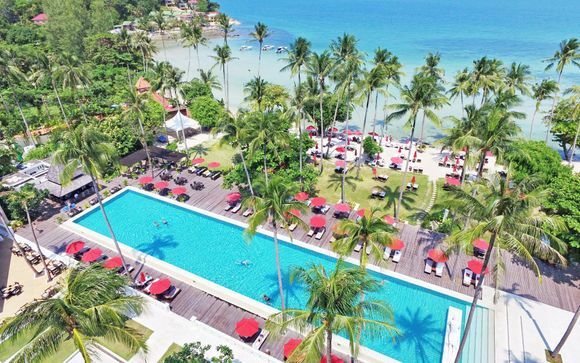 The 4-star Vince Hotel is ideally situated for those seeking retail therapy in the Pratunam area - a shopaholic's paradise. The hotel's contemporary architecture is reflected in its interior styling. Children are welcome and family rooms are available at the hotel. The Songkran festival officially runs from 13th-15th April each year, but often lasts for nearly a week. Many Bangkok residents leave the city to spend the festival with family and friends in other parts of Thailand, but the city fills up with tourists who want to join in the festival. Songkran is traditionally a time when people spend time with family, visit temples and perform an annual house clearing. The festival incorporates National Families Day. It is also known for its ritual of cleaning Buddha, with fragrant water being poured over statues of Buddha at home and in the temple. People also traditionally throw water over one another to wash off symbolically the past year’s misfortunes. This spraying of water brings fun to the festival, with many people nowadays using water pistols and hoses to soak their friends and family. Tourists are welcome to join in the fun. The beautiful festival of Loy Krathong takes place at the full moon on a late autumn evening, usually in November. This festival comes at the end of the rice harvest, and is a way of thanking the water goddess for a successful crop. Flowers, candles and incense are used to decorate tiny lotus shaped rafts which are released on the water. One of the best places to see the rafts is at the Asiatique, where the riverside night market is held. You may also find that your hotel organises a Loy Krathong celebration, and you may even have a chance to try your hand at making a raft. With such a large Chinese population, it is no surprise that there are huge festivities to celebrate the Chinese New Year in Yaowarat. The area is full of red paper lanterns and there are parades and dancing in the streets. Visitors to Thailand are required to carry ID with them at all times. A photocopy of your passport is acceptable. All visitors to temples (both men and women) should ideally wear clothing which covers up the shoulders and falls below the knees. Avoid vest tops and shorts, opt instead for a standard t-shirt with a long skirt or a pair of trousers. If you want to show the utmost respect, you should also cover up your ankles when visiting a temple in Thailand. Cargo trousers which can be zipped off at the knee are perfect for the occasion. Wear them as full trousers during your temple visit and as soon as you leave you can remove the bottom half and turn them back into shorts. You may well be allowed entry to most temples even wearing shorts, but it is not respectful to local custom and you can expect to be turned away from the Grand Palace unless you comply with the dress code of trousers or a long skirt or dress. It’s a good idea to take a pair of ankle socks with you as you will be asked to remove your shoes before entering a temple, and the tiled floors can get painfully hot to walk on in bare feet. What to bring back from Bangkok? Silk, spices and silverware make ideal gifts and souvenirs from your stay in Bangkok. The baht is the currency of Thailand, and the exchange rate is around 42 baht per £1. You can purchase baht before you travel, but you will usually get a better exchange rate once you arrive in Thailand. Exchanging just a small amount in the UK for when you first arrive in the country is one option. You can then purchase more baht as you need it. Credit cards are widely accepted in hotels and large restaurants. Travellers cheques are generally only accepted at a bank or foreign exchange bureau. All of Thailand is in the same time zone. 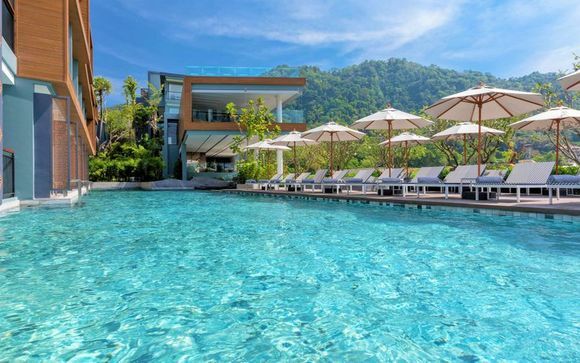 The time in Thailand is seven hours ahead of Greenwich Mean Time (GMT). Thailand does not operate a daylight savings time scheme, so during British Summer Time there is a six hour time difference between the UK and Thailand. Thai is the official language in Thailand, but in Bangkok and the major tourist regions, you will find English is widely spoken too. Cool, loose clothing is ideal for a trip to Thailand. The humidity in Thailand is high, particularly in the wetter months. Garments made from cotton or other natural materials are generally better than clothes made from man-made fibres, light colours are ideal. Insect repellent is useful, particularly if you plan to travel beyond Bangkok to remote areas where there is a risk of catching malaria. Many people who spend less than a week in Bangkok wish they had planned to stay longer. There is so much to see and do in and around the city, it is easy to spend two weeks or more in Bangkok. One of the joys of Bangkok is the vast range of cuisine available, from street food to luxury restaurants, with culinary delights from all over the world. For Chinese food, a visit to Yaowarat is a must, or for a for a truly memorable meal, book dinner on a river cruise. If you want to choose a luxurious restaurant to impress, try Mezzaluna at the Lebua Hotel, which serves first-class haute cuisine or Bo Lan, famed for its fine dining Thai food. Don’t worry if you are vegetarian – there are plenty of choices in Bangkok, with prices to suit all budgets. For a great value meal with vegan and raw food a speciality, head to Bonita Café and Social Club. For fusion vegetarian dishes in sleek contemporary surroundings try Broccoli Revolution in Sukhumvit, or for a more traditional setting visit Na Aroon at the Ariyasomvilla Hotel. Unless you are staying in Thailand for several months, it is not usually practical to take a pet with you. The official quarantine period is 30 days, and although this is not always enforced, you need to allow for the fact that it may be upheld. Bangkok: what budget to plan? People travel to Bangkok on a wide range of budgets, so the amount of money you spend is largely up to you and the kind of holiday you want. Eating out at local cafes and street stalls is inexpensive. For example, a basic meal out for one will cost you the equivalent of just £1.40, while a mid-range meal for two will be around £14.00. Many food items in the shops in Bangkok are considerably cheaper than in the UK. Notable exceptions include dairy products and wine. A local Thai draught beer will cost around £1.64 and a bottle of coke around £0.47. Bangkok is located on the Chao Phraya river delta in the heart of the country. Thailand has shared borders with Cambodia, Laos, Malaysia and Myanmar. 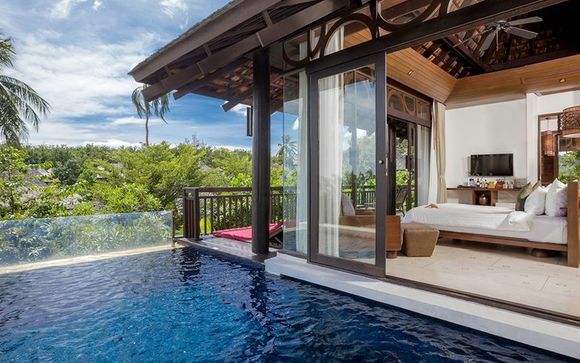 With its tropical climate, you will be glad of the air conditioning in your room in Bangkok. Remember to pack your travel adaptor plug so that you can charge up devices while you are away. The standard voltage is 220V in Thailand, while in the UK it is 230V, but your standard UK appliances will operate perfectly well with this slight variance. Some UK medicines are treated as controlled substances in Thailand. If you need to take medication with you on holiday, it is important to check on the Royal Thai Embassy website that they are legally permitted. If necessary ask your doctor to prescribe a suitable alternative for your holiday. It is generally recommended that you have been vaccinated for the childhood illnesses, and you should also get vaccinations for typhoid and hepatitis A before travelling to Bangkok. If you plan to visit other parts of Thailand, speak to your doctor about whether he or she would recommend additional vaccinations. 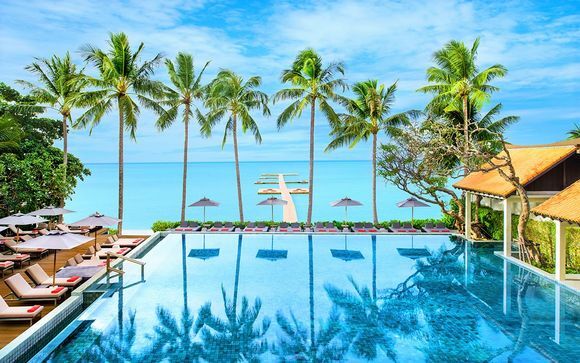 Discover our unique offers to Thailand: holidays, last minute deals, great deals, all inclusive holidays, cruises, tours. Visit more free travel guide.